Released just a decade after the liberation from Hungarian fascism, Máriássy’s BUDAPESTI TAVASZ is an important film in the context of Hungary’s film history. It’s the first in the period of 50’s films that challenged the still-fresh collective memory of the war. 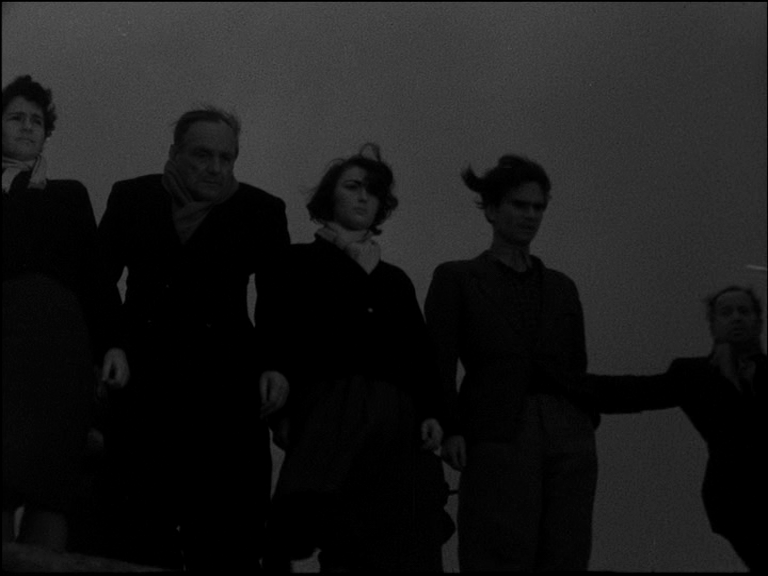 BUDAPESTI TAVASZ influenced many important films to follow it by the use of some stunning montage scenes and its painful memories that it recalled. The narrative, adapted by Karinthy Ferenc from his own novel, weaves a personal story of love and tragedy against the backdrop of a Hungary that was soon to be liberated. Karinthy uses this fatal relationship to remind viewers of their personal ties to the time period in the context of its debut release. 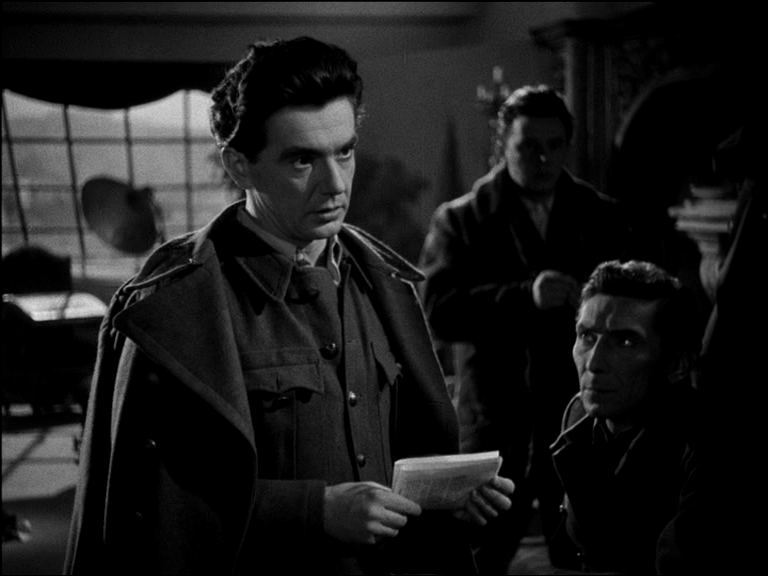 BUDAPESTI TAVASZ begins with Zoltán (Gábor Miklós) and his friend Gozsó Bertalan (Molnár Tibor) defecting from the war on Chrismas Eve in 1945 and attempting to return home to Budapest. They break through the Russian siege of the city with falsified papers and seek out Zoltán’s family’s apartment in the city. They find Zoltán’s aunt; her husband had the same idea, and had been living in the apartment for a while. That night, the city is bombed and by chance Zoltán goes back to the apartment for luggage while Bertalan goes to the shelter in the basement. Zoltán discovers that his aunt has been hiding a Jewish woman named Jutka (Gordon Zsuzsa) who hides her identity from Zoltán. 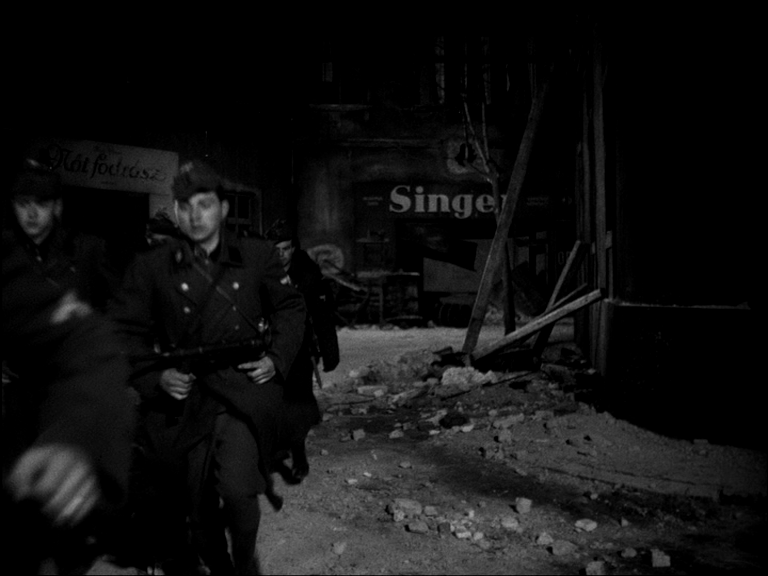 In the basement, a Hungarian patrolguard looks for military-aged men and arrests Bertalan. Bertalan and his fellow prisoners overcome their guard and they all escape back to the flat. 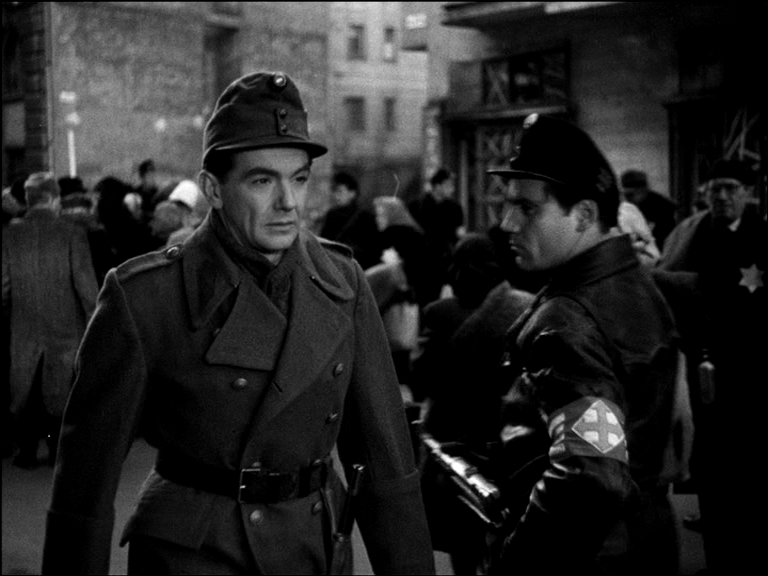 Reunited with his friend, Bertalan quickly leaves to seek out the communist resistance hidden in the apartment building. Meanwhile, Zoltán falls in love with Jutka, but she is depressed over the situation of her family being trapped by the Gestapo. Zoltán attempts to free Jutka’s sister with the helped of forged papers from the communist resistancem but is unable to reunite her with Jutka. Zoltán and Jutka fall in love, but she decides to leave the apartment because of the risk her identity poses. When he notices her absence, Zoltán takes off in search for her, is arrested and put in the same cell that Jutka happens to be in. Zoltán is able to free himself, but his lover is executed at the edge of the Danube. Because of his pain he returns to the communist resistance and takes up arms against the Germans and the Hungarian occupying police. The film ends with the Russian army breaking into and defeating the occupation of Budapest. First, it’s important to note the context of BUDAPESTI TAVASZ and its initial Hungarian release. Ten years after World War II, the Hungarian government had reached the decision to cease searching for and exhuming bodies from the conflict. This, along with the party’s suppression of the overall idea of the holocaust and Jewish identity helps us to understand the challenging ideas within the film. When first introduced to Jutka, viewers in the 1950’s would have understood she was probably Jewish, though his aunt originally claims it is Zoltán’s niece. For more modern viewers, this idea only becomes apparent when Zoltán seeks out Jutka’s sister in the city and turns the corner to see the crowds of people with the Star of David surrounded by soldiers. This scene is then perhaps still emotionally shocking to the original viewers as the memory of the crimes were still relevant to them. 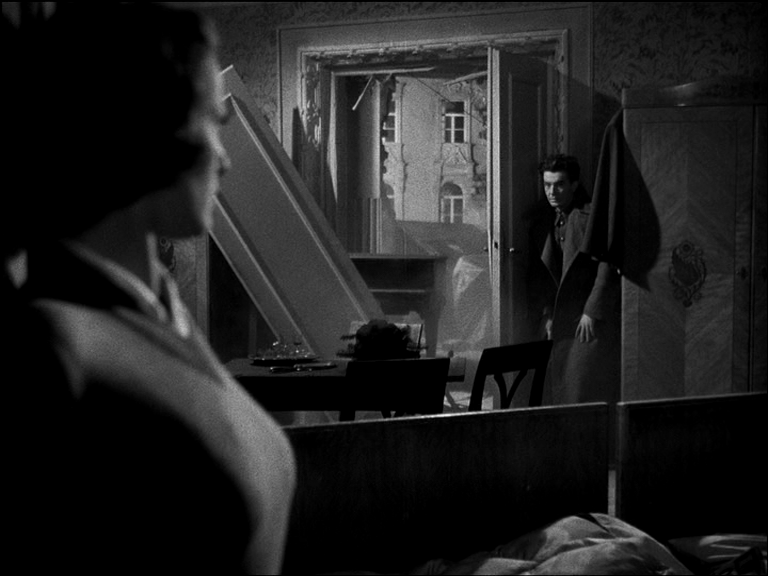 BUDAPESTI TAVASZ is also unique in the way that it breaks from other films of the 50’s that followed Soviet Realism. In terms of narrative, films at the time tended to establish a hero who defeats the morally bankrupt fascists. BUDAPESTI TAVASZ displays most of the perpetrators as Hungarians oppressing their own people instead of faceless soldiers. The central character Zoltán starts the film as a pacifist, leaving his rifle with the nuns that they hitchhike with to Budapest at the start of the film. When Bertalan first links up with the communist resistance, they want to know about his friend but Bertalan informs them of his decision to stay on the sidelines. It isn’t until Jutka’s death that Zoltán feels spurred into action in the tense street firefight scene. All of this characterization is important because it applies a humanistic narrative while other films continued this cycle of heroism that was unidentifiable to viewers. In a certain way, this leads BUDAPESTI TAVASZ to have a truer since of community compared to films from the same era that were cemented in the ideals of Soviet Realism. The two pivotal montages in BUDAPESTI TAVASZ are true cinematic works of art. 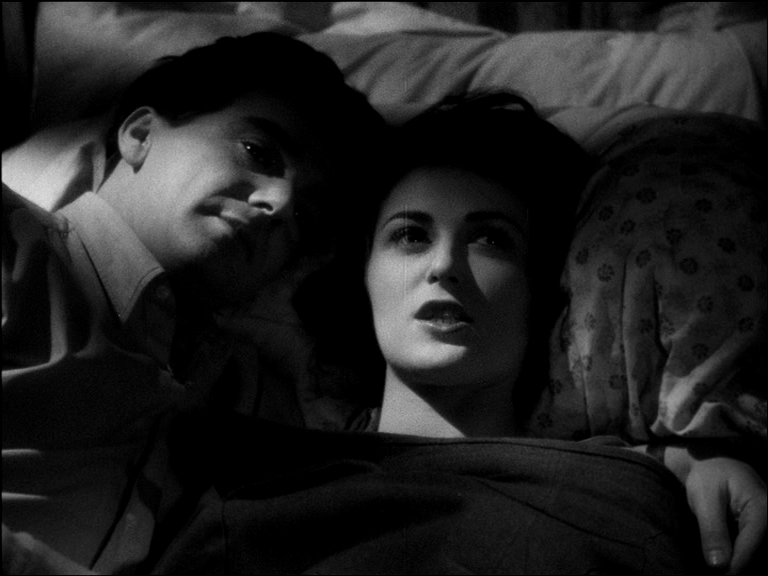 The first frames are the start of the romance between Zoltán and Jutka as they lay in bed talking about love. This conversation is broken up by shots of the Russians advancing on Budapest and fighting with German and Hungarian forces. This scene goes shows viewers how intertwined the larger picture of the war is with their individual stories. Máriássy shows this in a larger sense with how the tenants of the apartment building and themselves intertwined with each other and the war outside. The other montage intercedes the events of Zoltán’s release and Jutka’s execution. 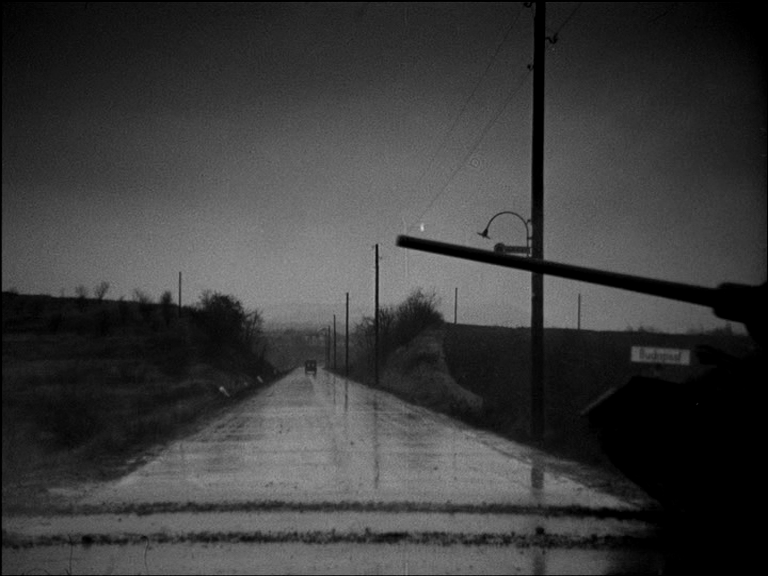 The imagery is harrowing as Máriássy pans down the row of prisoners stopping at Jutka, giving the audience the view as an observer. 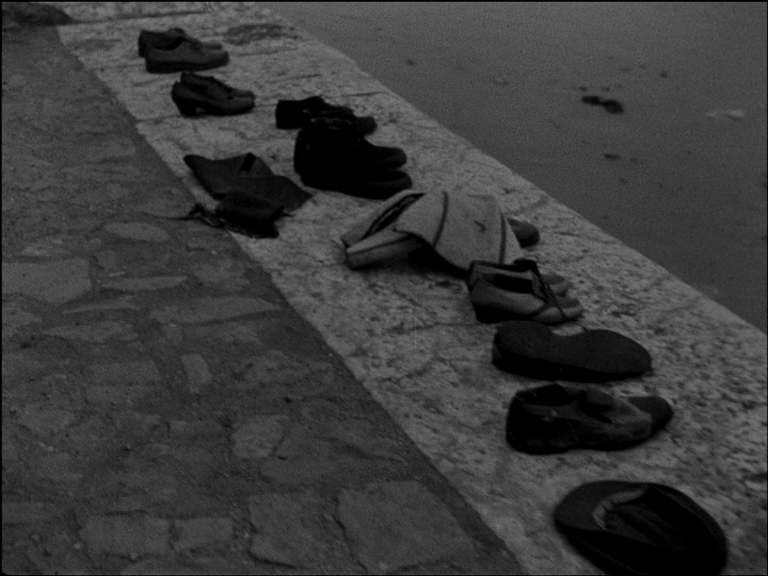 However, when Máriássy returns to the scene the audience sees that the prisoners are absent, with only their clothes remaining at the banks of the Danube. This scene serves as Zoltán’s reawakening, while the previous montage of the lovers’ discussion was Jutka’s. 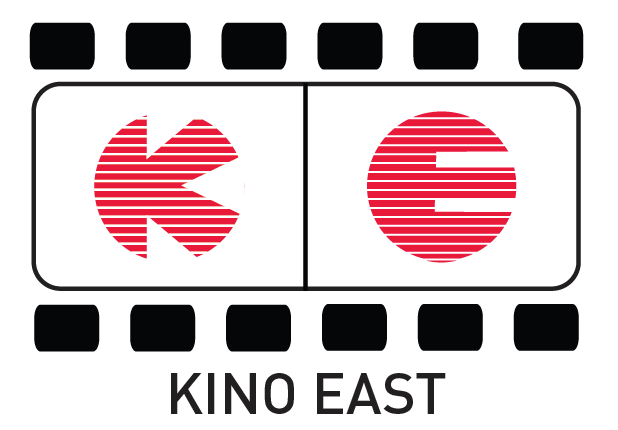 Unfortunately, the Rákosi era of political control can still be seen as an influence over the film. The only parties really interested in liberating Hungary are the Russians and the communist resistance. This perpetuates this idea that anti-fascism was exclusively tied to communism. Máriássy combats this by having the characters who are tied to fascism be the ones who first switch to communism when the Russians show up in Budapest. He also has the central character refuse to unite with the communist resistance until it aligned with his ideals of revenge. This separates his personal ideas of revenge with the political ideas that the communist resistance represents. 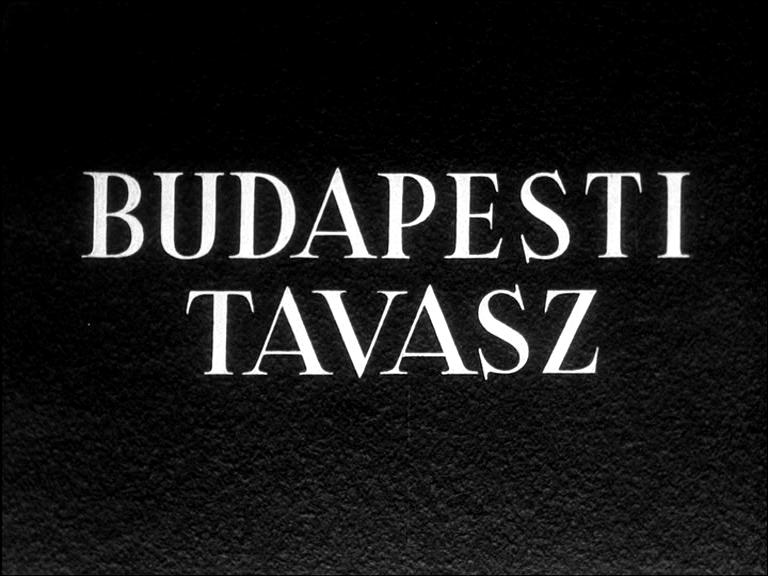 Ultimately, the film’s central theme is one of rebirth, even seen in the title of BUDAPESTI TAVASZ. Zoltán is a man who has abandoned the war and what it means, while Jutka has abandoned hope, refusing to love Zoltán at first because of her misery. Their romance is a second chance for both of them to find meaning, and even with the death of his lover Zoltán still finds closure when he discovers Jutka’s little sister in the final scene. This idea is also plainly apparent in the film’s conclusion at war’s end, as the community clearing the rubble in the city streets and a paper is distributed declaring Hungary’s freedom by the communist party.